As I travel around the world, there are some places that I just fall in love with. Eze was one of those places. 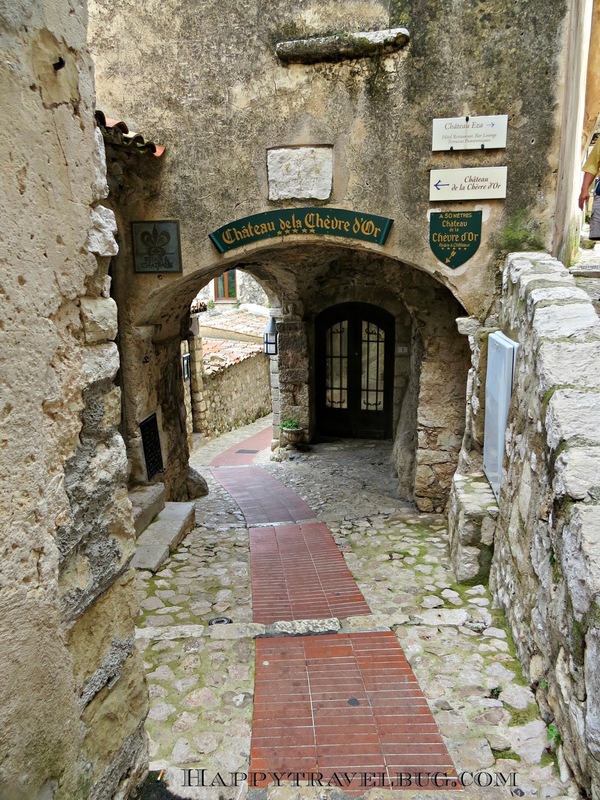 Until I booked this excursion on our Mediterranean cruise, I had never heard of Eze, France. 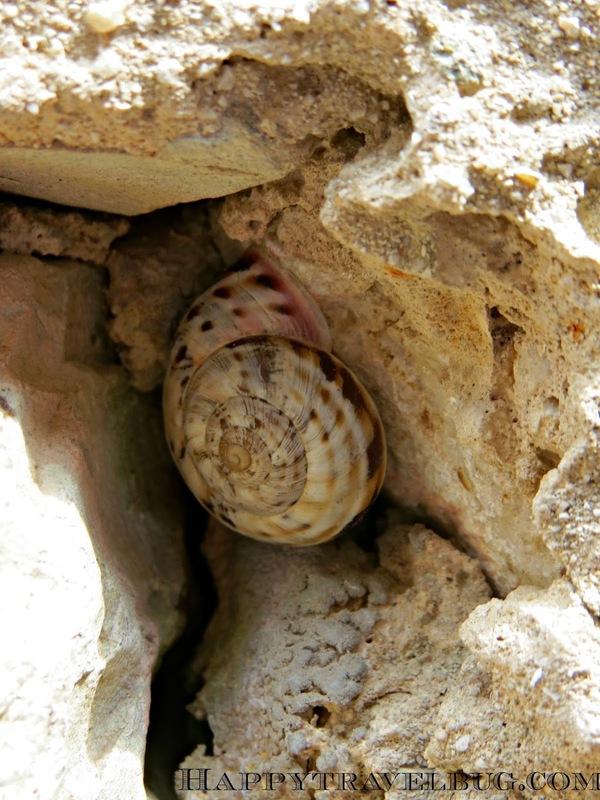 It was included on an excursion with Nice, which I was very familiar with. You hear so much about the French Riviera, of which Nice is a part, but this centuries old town of Eze, not so much. If I had to pick one word to describe Eze, it would be charming. It was easy to get lost in all the tiny little walkways, and that was okay. It is the kind of place I want to get lost in. I think this little guy below had the right idea. Just immerse yourself in the historical walls of the medieval town. The only thing I don’t like about booked cruise excursions is that you are on their time frame. 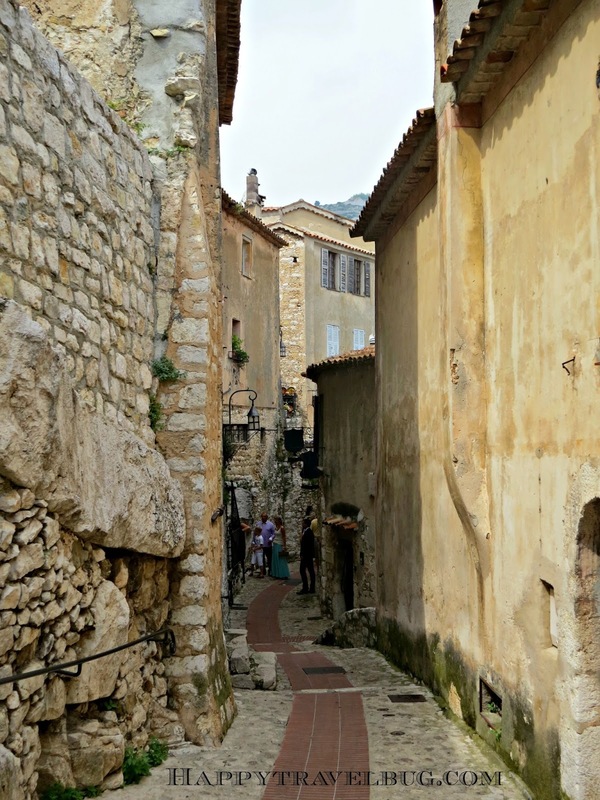 I wanted to spend so much more time in Eze. Every one of these doorways called to me. There will definitely be a future trip here for my husband and I. What a romantic little getaway! Another thing I loved about Eze was that it wasn’t touristy. I had just spent the morning in Monaco, where all the shops were so over done with tourist junk. The shops in Eze were authentic boutique type shops. You can’t look at this picture and not want to plop down at one of those tables…can you? The history nerd in me was going crazy with all the historical details that were still in place. 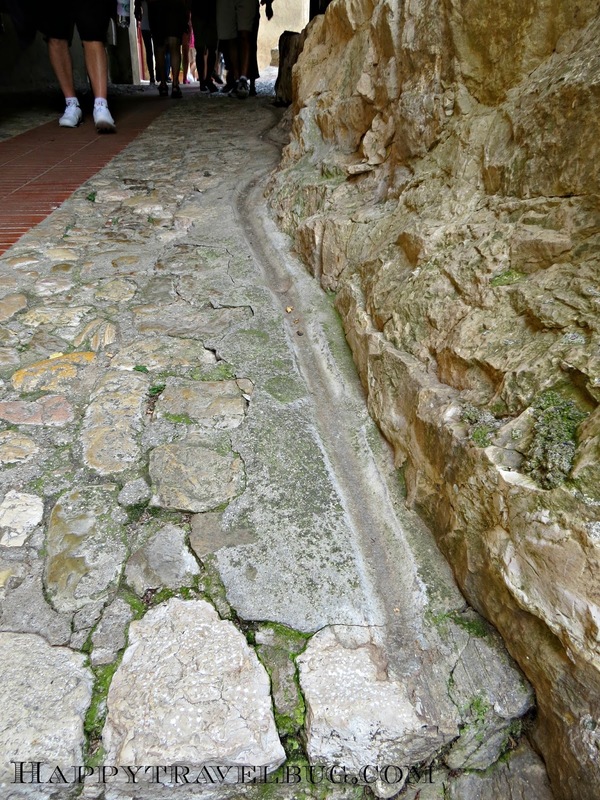 The rock mosaic floor above and the water/sewer line in the streets below. Even knowing that it wouldn’t smell very nice, I would LOVE to go back in time and see this town as it was when things like this were actually being used. 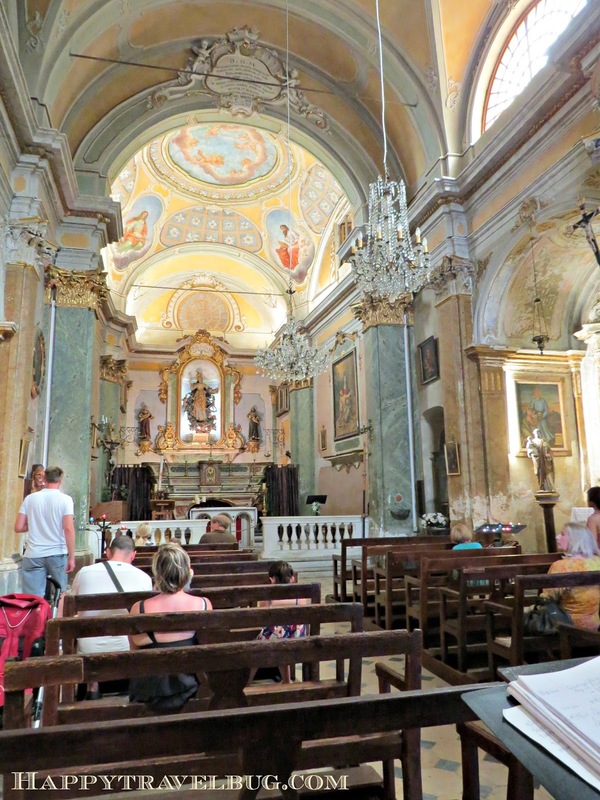 We ended our walk through Eze at it’s church. Every medieval city had one and the town was usually centered around it. I really liked the light and airy feel of this one. After a quick look around the church, I ventured outside and came across this open gateway below. I took the open invitation and found this medieval cemetery. Rather than have sad thoughts of those buried here, I thought how wonderful it was that they were able to spend part of their lives in this charming historical town. Here’s a little video I took while there. It was fairly crowded, but unique, without all the "touristy" shops. I would love for you to show me around. I think that's the best way to see a place, thru the eyes of a local. I have only been to the coastal towns of the French Riviera. I think I would have preferred to travel thru the inland and hill towns of the areas. Places like Eze are more my kind of thing. Lately, I have read a lot of articles about the French Riviera. Love to rad about all these towns. I had never heard of Eze before I visited your blog, so I am glad I did. 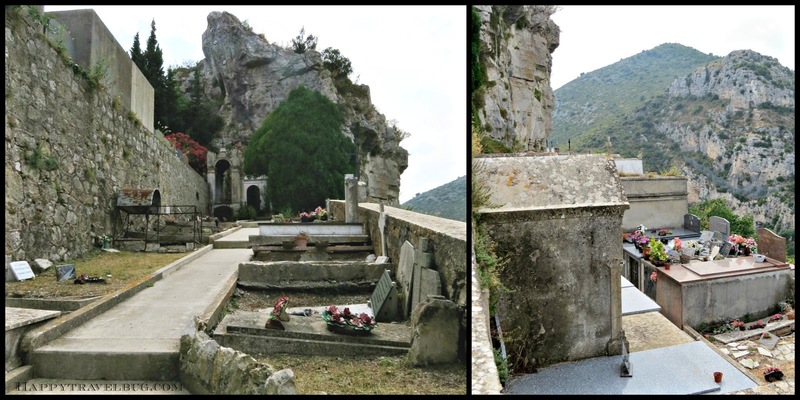 We have only been to France once, 10 years ago, and we were nowhere near Eze. I just love the thought of living in one of these towns for a few weeks and being immersed in the life, at least for a short time. That is the pitty about tours, you only get a snapshot, but I guess it is a snapshot that makes you want to visit again at leisure. It was interesting to read Phoebe's take on Eze as a local. Happy travels. 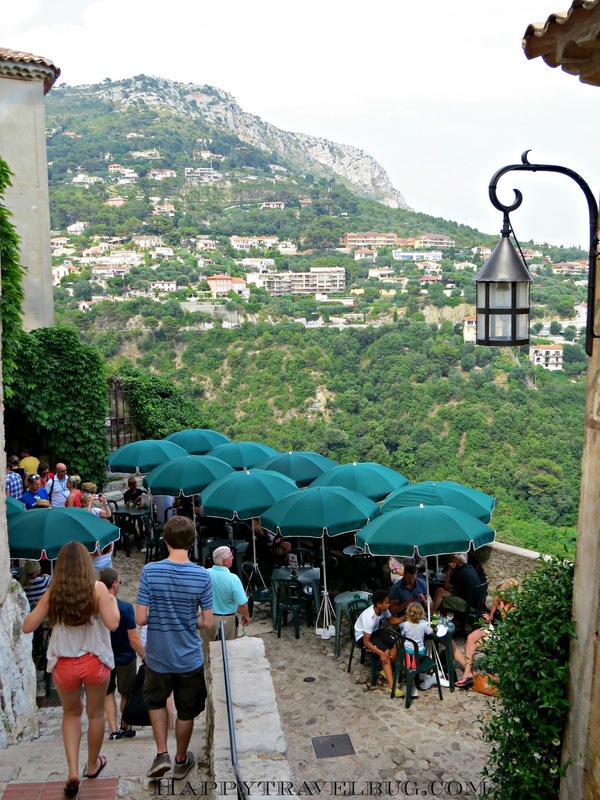 and thank you for taking us to Eze over on Travel Photo Thursday today. I've enjoyed the visit. Eze is certainly on my list! It looks stunning. 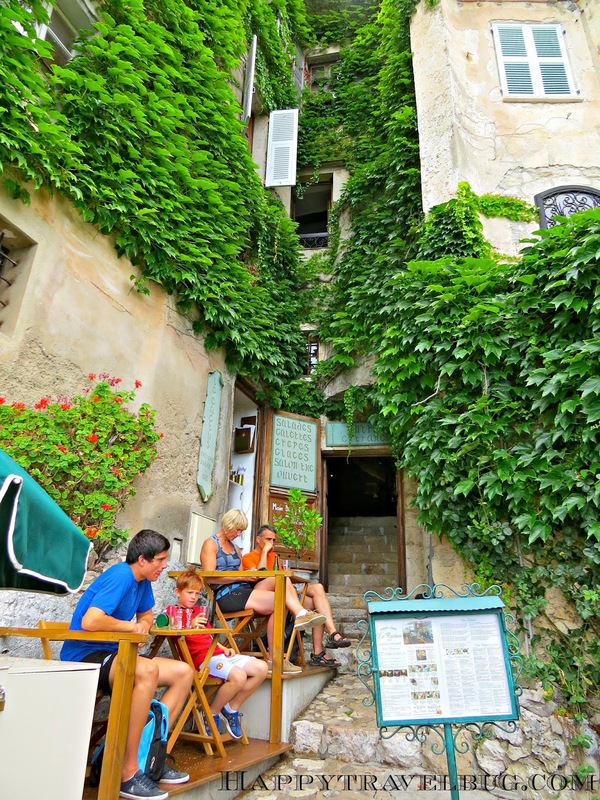 It's so beautiful – The South of France is just stunning! 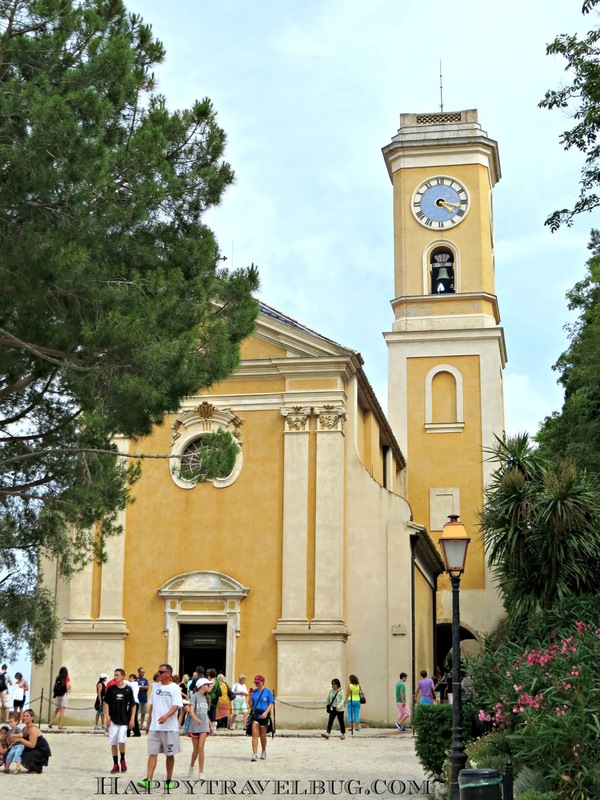 I haven't visited Eze, but I can attest to the fact that the French Riviera has many beautiful villages up in the hills and mountains that easily rival Monaco, Nice and Cannes! 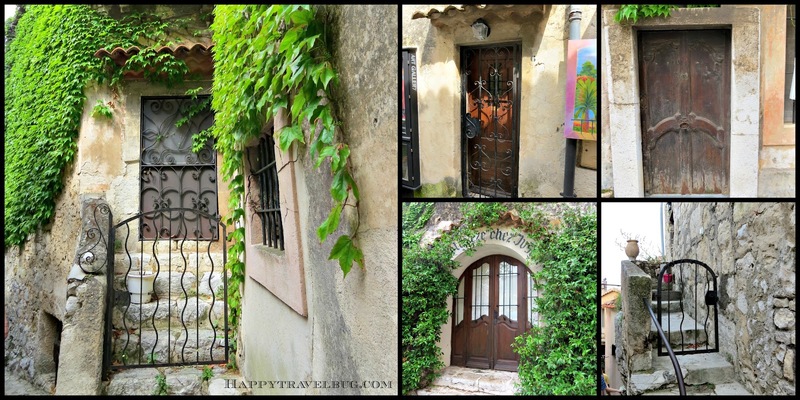 My favorite one is St. Paul de Vence! I so love Eze Village! I was lucky to visit this place many, many times during the years and every time I go I find it so fascinating. The view, the atmosphere, the little shops… I could never get bored of it. Thank you for joining us for The Weekly Postcard. Sooo beautiful!! 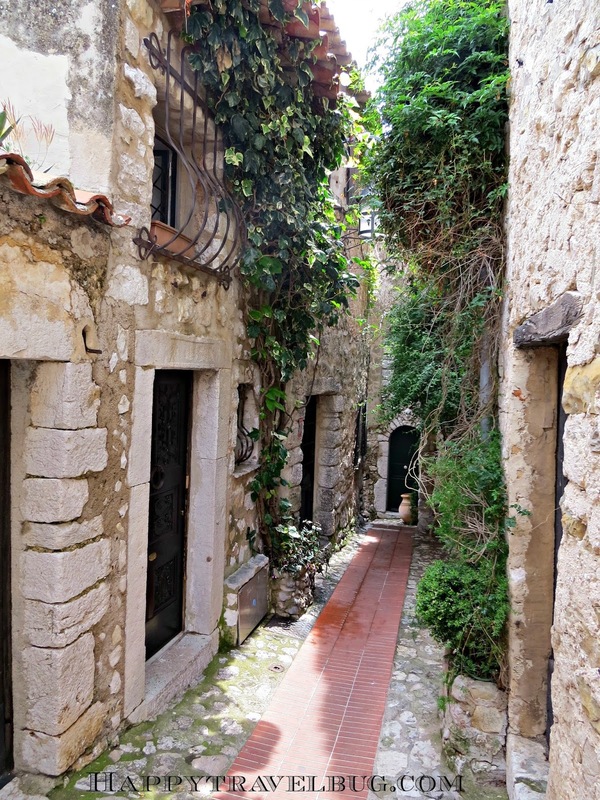 Eze reminds me of San Gimignano and it certainly is on bucket list!! What a lovely town! I would love to wonder around Eze myself. But for now I enjoyed your images and the lovely tour. Enjoy your day and have a happy week ahead! How interesting we are posting the same trip today! Maybe we passed on the street somewhere along the way. Your photos are lovely and interesting. Takes me away, needing another trip soon…………..
What a charming place! Thanks for linking in today. 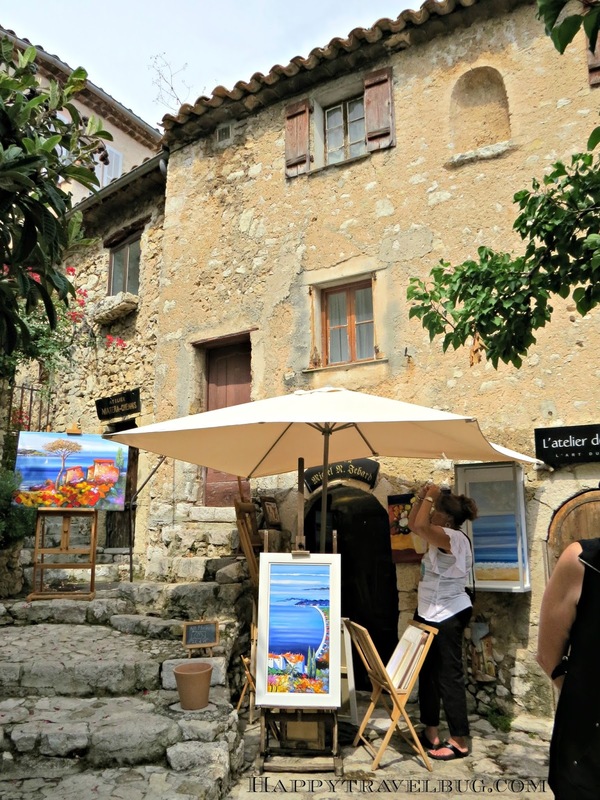 Oh it's beautiful… I went to Eze a few years ago, it's so charming and romantic. Your post reminded me of those times, a lovely memory. Thank you. Looks like I should Eze on "the" list! Charming village and great shots. Happy Monday! That is quite a charming place to visit! I loved this tour today. Have a great week and thanks for sharing. I had not heard of Eze either…what a beautiful spot…thanks for sharing it! I feel so lucky to have toured around Eze with you and noticed a comment from a local who thought otherwise about it not being touristy. Looks like a romantic place to me too and I would definitely want to sit under the umbrella at one of the tables looking at the awesome view. Thanks for linking to Mosaic Monday Sonja. What a beautiful little town; I would love to get lost here too. Those tiny walkways fascinate me. And I love the window shutters thrown wide open up above, letting all the light and fresh air in. (sigh) Thank you for sharing at Inspire Me Wednesday. Featuring you in this week's issue (and on Instagram) tomorrow!